Highest quality laser hair removal reviews in Houston, Texas: Renova Laser Hair Removal Houston & MedSpa is the leading provider of laser hair removal and other non-invasive aesthetic treatments in Houston, Katy, Sugar Land, The Woodlands and surrounding areas. We are known for our commitment to excellence and dedication to providing the best experience for our clients. We are a result oriented clinic with your safety and 100% satisfaction in-mind first and foremost. At Renova Laser we offer the safest and most advanced technology in laser hair removal. We also strive to be and to provide our clients with the best laser hair removal in Houston. Your visit will begin with a complimentary consultation during which we will review your medical history, skin type and eligibility for treatment. At Renova Laser Hair Removal & MedSpa located on 3100 Timmons Lane, #445 Houston, Texas 77027, we offer several state-of-the-art, FDA approved laser hair removal platforms. This allows for safe treatments of all skin types while presenting high quality laser hair removal results. Laser hair removal can be performed in all body parts with unwanted hair. Although due to our excellent pricing and well-reputed client-care, most of our clients choose to treat the entire body (full body laser hair removal), followings are some of the most treated areas: face, underarms, abs, chest, back, bikini area (line, Brazilian, Brazilian Extended) and full legs. Limit the sun exposure especially two weeks before your treatment. Getting laser hair removal while your skin is tanned can cause hyper or hypopigmentation (depending on your skin color). Avoid waxing, plucking and tweezing the hair. Waxing, tweezing or plucking while in laser hair removal treatment can make your treatment ineffective. However, you can shave at any time which will preserve the root of the hair. You must shave about 24 hours before your treatment. This will ensure best results and lessen pain involved during the treatment. Following a laser hair removal treatment, the area may feel and look like mild sunburn. Cool compresses are applied immediately after treatment and moisturizing lotions are recommended for 2-3 days post treatment. It is very important that you limit direct and prolonged sun exposure on the treated areas for few days after treatments. Avoid excessive sweating and irritation to the treated areas up to 24 hours after the treatment. We are happy to schedule you for a FREE consultation and/or treatments the same day for your convenience. Please call us at 832-831-7004 or email us at contact@renovalaser.com today. At Renova Laser Hair Removal & MedSpa, we include our Lifetime Guarantee on all laser hair removal packages provided to our clients through our clinics. The Renova Laser Lifetime Guarantee will safeguard your investment and helps to keep you hair-free, care-free forever!. Schedule a free consultation today to learn more. Limit the sun exposure especially two weeks before your treatment. Getting laser hair removal while your skin is tanned can cause hyper or hypopigmentation (depending on your skin color). Avoid waxing, plucking and tweezing the hair. Waxing, tweezing or plucking while in laser hair removal treatment can make your treatment ineffective. However, you can shave at any time which will preserve the root of the hair. You must shave about 24 hours before your treatment. This will ensure best results and lessen pain involved during the treatment. Following a laser hair removal treatment, the area may feel and look like mild sunburn. Cool compresses are applied immediately after treatment and moisturizing lotions are recommended for 2-3 days post treatment. It is very important that you limit direct and prolonged sun exposure on the treated areas for few days after treatments. Avoid excessive sweating and irritation to the treated areas up to 24 hours after the treatment. Before laser hair removal began being used as a treatment for hair removal over two decades ears ago, electrolysis was the only way to get rid of those unwanted hairs; and electrolysis can be painful time-consuming and very expensive. The only other methods available today are temporary, and many of them are costly, painful and time-consuming. The technology of laser hair removal machines has been constantly improved over the last 20 years. They are completely safe and will not affect your delicate skin. At Renova Laser Hair Removal & MedSpa, we use state-of-the-art FDA-approved equipment to treat our clients safely and effectively. Laser hair removal treatments not only can remove your unwanted hair but as a side benefit the treatment can also make your skin smooth and soft. You get 2 huge benefits from just 1 treatment! Laser hair removal treatments are completely safe when performed in a professional facility like ours by well-trained professionals. Laser hair removal is the most cost-effective and time-effective method of getting rid of unwanted hair forever. Once you finish your first treatment session, you won’t be nervous or embarrassed – you’ll simply be excited for your new hair-free and smooth skin. We promise! You’ll begin to see your hair thinning out in the treated areas within 1 or 2 treatments. Every single treatment is valuable and important in the long run. With just one treatment all your hairs that are in their growth stage will be destroyed from the heat of the laser. This makes the hairs unable to grow back. Subsequent treatments damage more and more hair follicles as they enter their growth stages, until you are completely hair-free or the hair is significantly reduced. With combination of outstanding laser platform and our highly trained and certified medical laser professionals, we offer superior results that typically range in permanent removal of over 95% of all treated hairs. On average, 6 sessions spaced approximately 4-8 weeks apart are needed to achieve such optimal results. Although individual response can certainly vary, we will explore the expectations with you once we understand your skin type and hair characteristics. 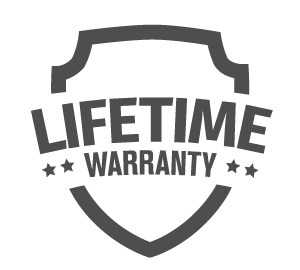 Additionally, we provide you with our Renova Laser lifetime guarantee which will safeguard your investment. Our goal is to keep you satisfied 100% of the time! Yes, laser hair removal in Houston is absolutely safe and effective. Laser hair removal in Houston is an FDA approved procedure performed by State of Texas Certified Laser Hair Removal in Houston TX. The equipment we use for laser hair removal in Houston is an FDA approved device manufactured by laser hair removal industry leader Candela Corporation. At Renova Laser, we only use the best and most effective laser hair removal device in Houston. What are the benefits of laser hair removal in Houston over other methods of hair removal? Depending on the area to be treated, laser hair removal can take only a few minutes or up to two hour for a full body laser hair removal Houston treatment. The most commonly treated areas, bikini Brazilian, upper lip, chin, underarms, full legs and full back.